Whether it's general guidance on getting the most out of your WordPress website or something more specific, we can provide expert guidance and advice. WordPress Hosting by New Zealand WordPress experts. We can host, maintain and support your WordPress website and leave you to concentrate on running your business. 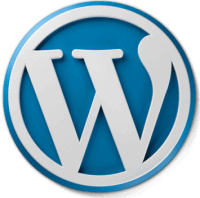 We specialise in WordPress consulting and WordPress hosting for New Zealand businesses. If you believe you are paying too much for your current WordPress website hosting service or are having other challenges, we'd love to speak to you. Got a slow WordPress website? Try our lightening fast WordPress hosting service for free at no risk! We would be happy to test your current WordPress website on our super fast servers at no charge. You can then compare our service to your current WordPress hosting provider and will see a real difference in how your website performs. Having problems with your WordPress website?